Policy manuals are important because they will help you and your entire staff manage your time and money more appropriately. 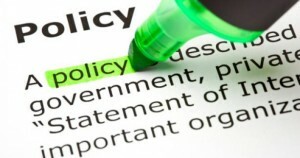 You must have a policy manual if you manage a company or any business firm. So let’s take a look at some of the things you need to know when writing a policy manual. Before you get down to writing your manual, it is advisable to first discuss it with the people in your organization whose input is important and needed so that your manual can be more effective. It is important to consult the legal counsel beforehand. In your panel you should have the Human Resource personnel and supervisors or mangers of various departments. They will give you the much needed content that will help you in writing a good policy manual. Review the mission of the company. This is equally a good thing to do before you write a manual if you don’t want to keep on revising it. The starting point for your manual is to first review the mission of your company or firm. The procedures and the policies of your manual should be stable with the statements of the company. You should be in touch with the necessary persons in charge of the management to consider writing the statement in case there is none. Writing a policy manual also entails getting to know the objectives that must be met within the set time. This will be determined by the senior management. If your work is to make sure the objectives are met, then you will be in a better position to develop procedures and policies that will go hand-in-hand with the objectives and will also enable the company or the firm meet these objectives. Once you have your procedures and policies, you need to create an outline of the two. It is also important not to do this alone. You can work with your team and come up with bullet points. Each point should then be expanded and explained. In order to stick to the objective of the annual, it is important to be very specific when describing the components. You can be in a better position to come up with a comprehensive manual if you get ideas from a ready-made manual template. Such samples can be found on the internet for free. They will give you an idea of how the manual should look like and the points you need to consider. Your wording should be a clear and concise as possible and so should your format. This means that the overall format should be put into consideration. Most of the manuals will give enough room for white space. Your headings and subheadings should be in a consistent format and so should your bullet points. To organize your material in a more logic sequence, you can have a well-organized table of contents. Give final draft to appropriate parties. Finally, you can submit your final draft to the appropriate parties in your firm for review. Remember your manual should be suitable for the entire staff. These parties could be your human Resource department or the company’s legal counsel.